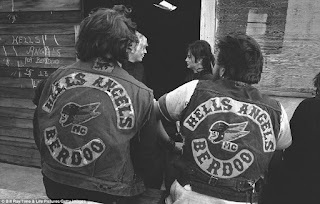 In the mid-sixties youth broke into two rival factions: the nouveaux moderns or mods who were followers of black music and designer clothes; and the macho rockers, or neo Ton-Up boys. Both styles had started in the fifties but now there were enough young people around to support a dual culture. Mods evolved from the new moderns and had linage to the Skiffle movement of the 50s. Sixties Mods wore designer suits and shoes, or parkas with light dessert boots for their Italian scooters. They listened to black music from North America and gathered in discotheques. 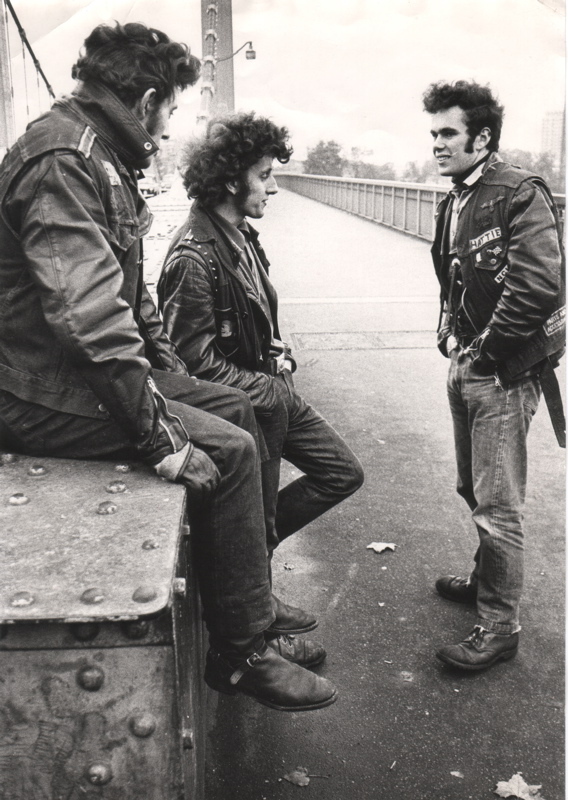 Greasers continued the swashbuckling tradition of the earlier Ton Up boys with knee length leather boots, tight jeans, white T shirts, and leather jackets. They were rock’n’roll fans and congregated in the old dance halls preferring to maintain the dance steps of the previous decade. Needless to say, these group did not enjoy each other's company and began to terrorise the English coastal towns by fighting each other. 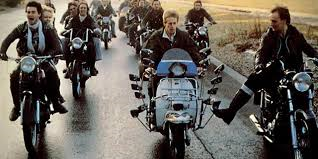 Mods and rockers fought over the beaches of south coast England wearing the trademarks of their generation, i.e. boots verses shoes. Few in the fashion industry could predict Mod fashions and for a short time anyway chaos ruled within the rag trade. Whilst most young idealists followed the road to enlightenment and self-discovery many rejected materialism and dropping out. This was displayed symbolically by going barefoot. In the Era of the hippies the sandal (thong) became part of the accepted outfit along with kaftans, bells, loons and Afghan coats. 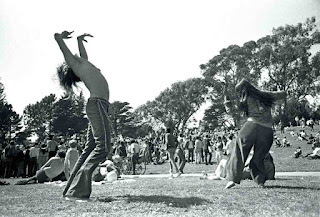 OPen air festivals became all the rage and dancing was more self-expression with little interaction between partners. The dance style of the time resembled folk dancing of ancient times. Experimentation with mind altering drugs meant less well co-ordinated movements were common and hence no need for supportive footwear. When soldiers returned from Vietnam suffering battle fatigue some found themselves unable to adjust to civilian life. Alternative lifestyles such as nomadic bikers became more popular. 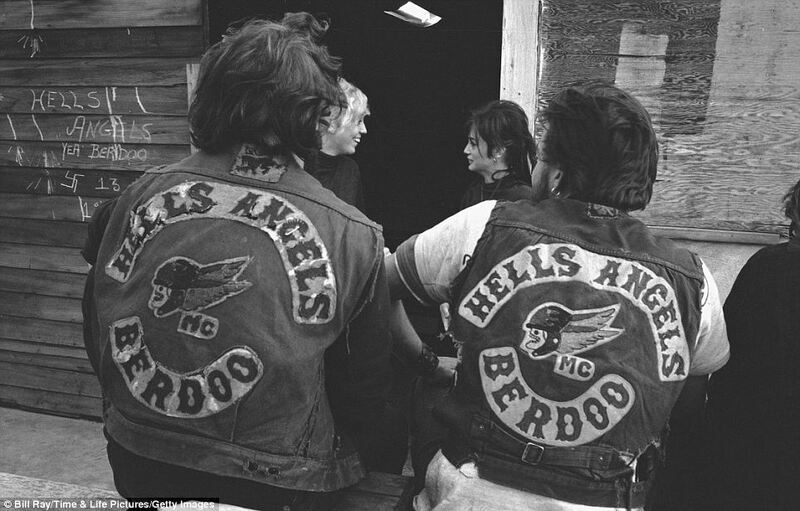 Membership of the Hell's Angels Motorcycle Clubs (1%' ‘rs) grew in vast numbers. The teenage cult movie "Easy Rider" for once did not depict the standard adolescent fun and games at high school but instead dealt with real adult themes living in a country still divided by prejudice. 'Easy rider` also assured the urban cowboy image was legitimised and the Hollywood cowboy boots, a macho icon forever.